Everyone’s been going to Dubrovnik these days, and you know what it means. The GOT only added to its popularity and the town is swarming with tourists. If you’re an experienced traveller, you know it can only mean two things. First, the prices are going up, and second, it’s tough to find the right accommodation. 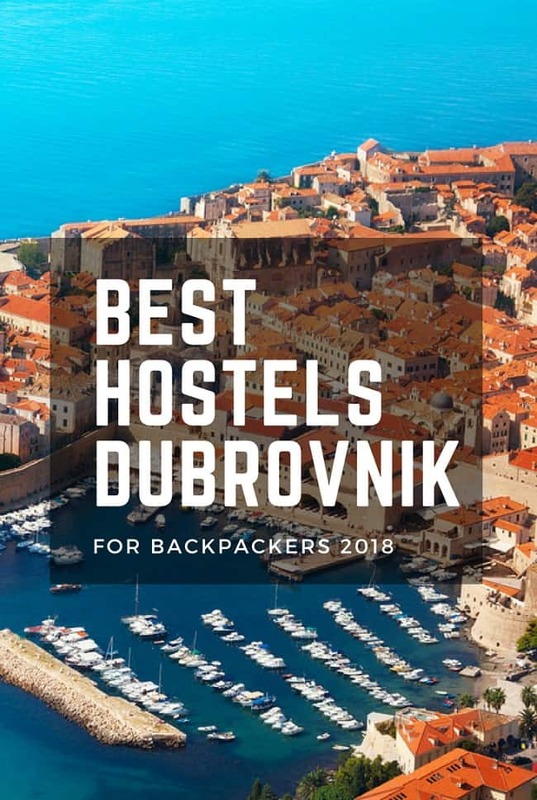 Luckily, we’ll show you some of the best hostels in Dubrovnik so you can book your stay on time. 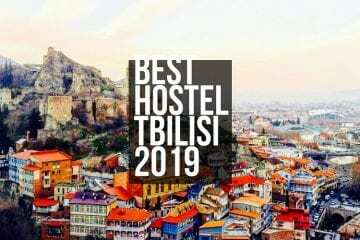 Check out also Best Hostels in Budapest! 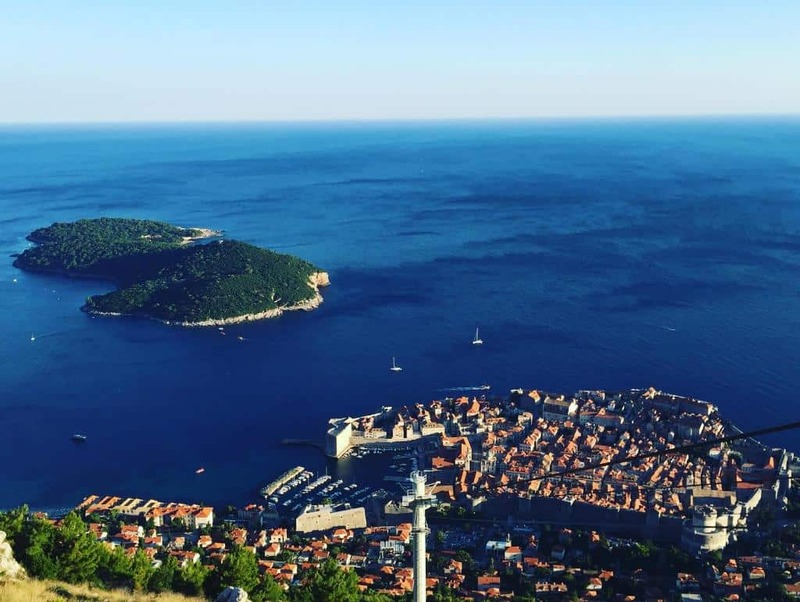 TIP: Best Things to do in Dubrovnik! As it seems, the accommodation here is truly divine! 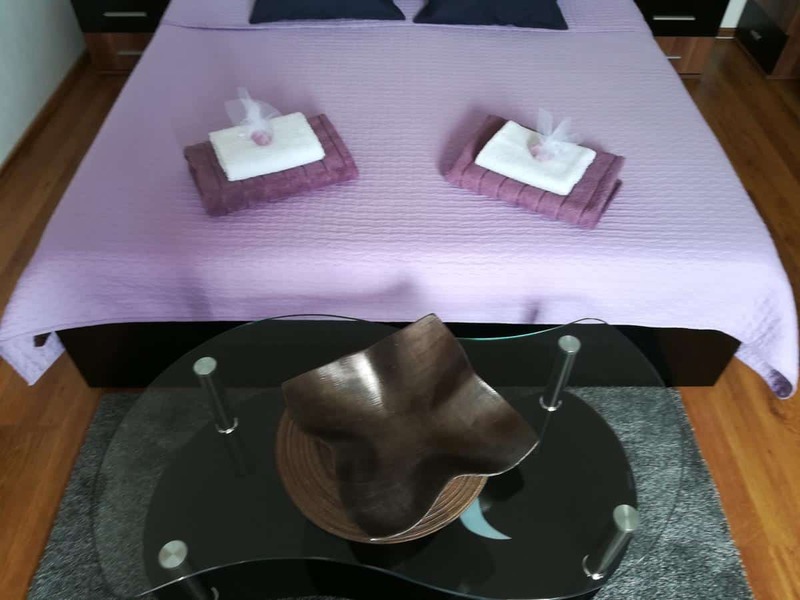 The rooms are definitely equipped to help you feel completely relaxed once you step into them. They’re all beautifully decorated, while the balcony and terrace are simply inviting you to spend your time enjoying the wonderful view. While free parking isn’t always available, there are plenty of other free services making your stay here as heavenly as possible. There’s free breakfast, for starters. 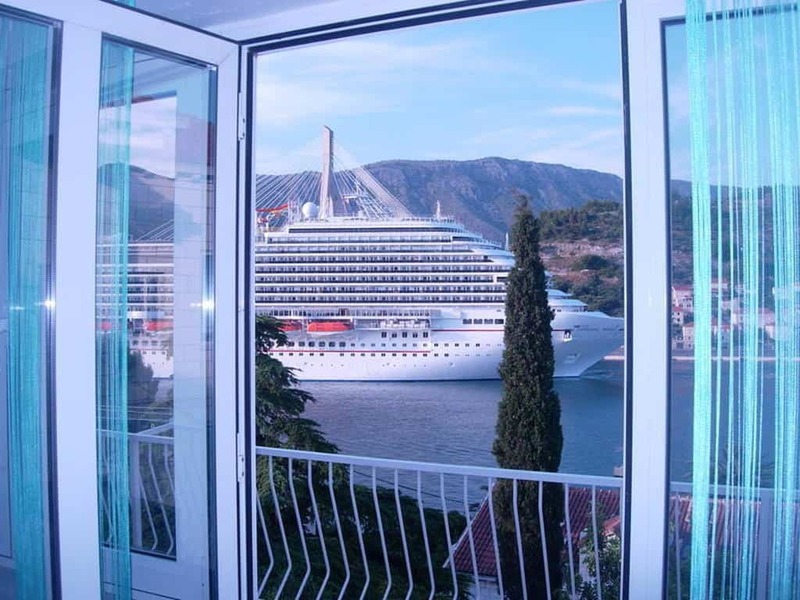 If you’re not really a morning person, you can find enjoyment in free Croatian wine tasting, cocktail nights, guitar nights, and other evening programs for the guests. As for the location, we could say it’s somewhat original. Most hostels boast about being close to the city center, but this one prides with its sea proximity – only a few meters away! Outstanding! 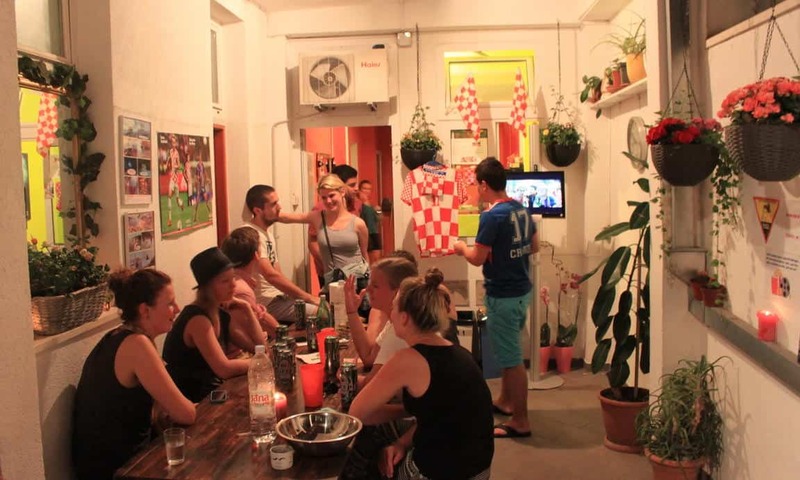 Old town hostel is one of the best rated hostels in Dubrovnik with an excellent location. 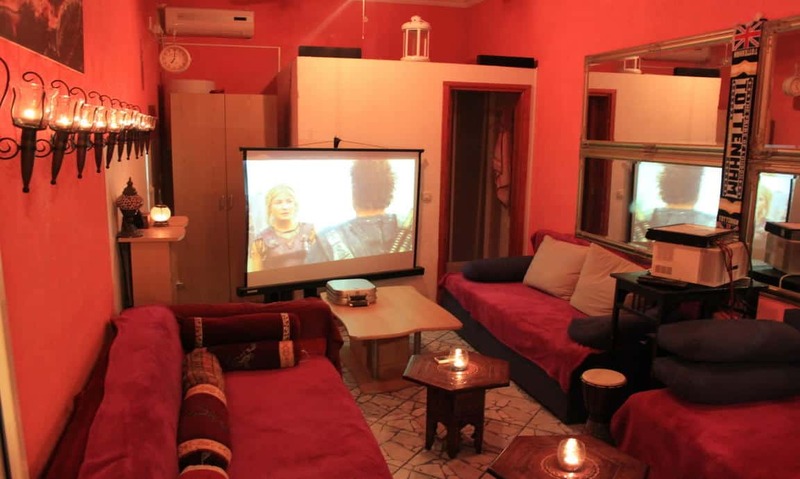 It has every possible “hostel feature” you expect from backpackers hostel and you definitely won’t regret your stay! Make sure you book this place in advance, it gets sold out every summer very fast. The rooms are pretty basic, but they’re furnished with white pieces, and white linen, so it all seems very welcoming and neat. 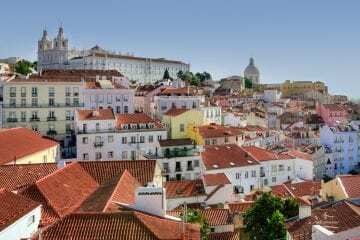 As the name says, it’s located in the old town, so it’s no wonder the rooms and bathrooms are a bit small – after all, you’ll be staying in a 400 years old building. Luckily for you, everything else seems to be brand new, and former guests are full of praise for it. If you have your furry friend travelling with you, some pet charges may apply. 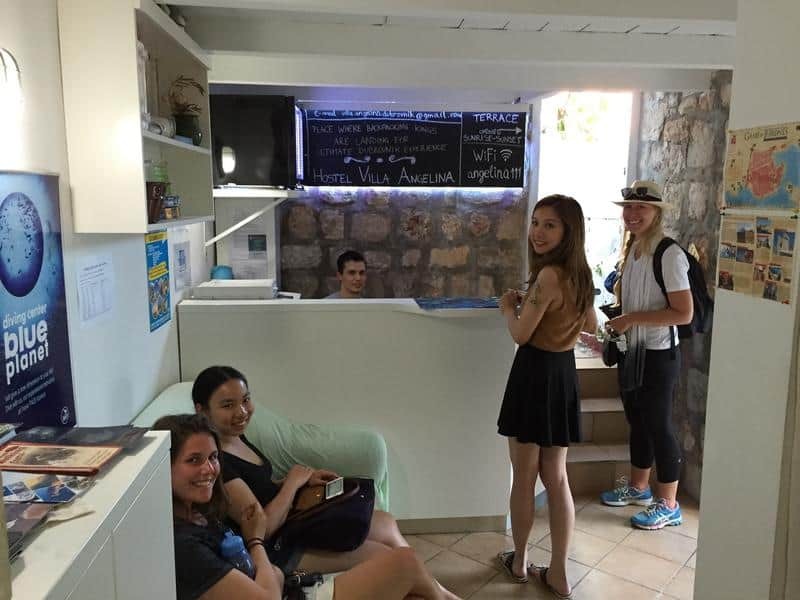 Hostel Angelina offers some extra facilities, so you can use the washing machine, or even pay for the service. If you wish, they also offer housekeeping services so you needn’t worry about the mess during your vacation. This is one of the hostels with rave reviews by numerous guests. Rarely does one see notes from so many satisfied customers. 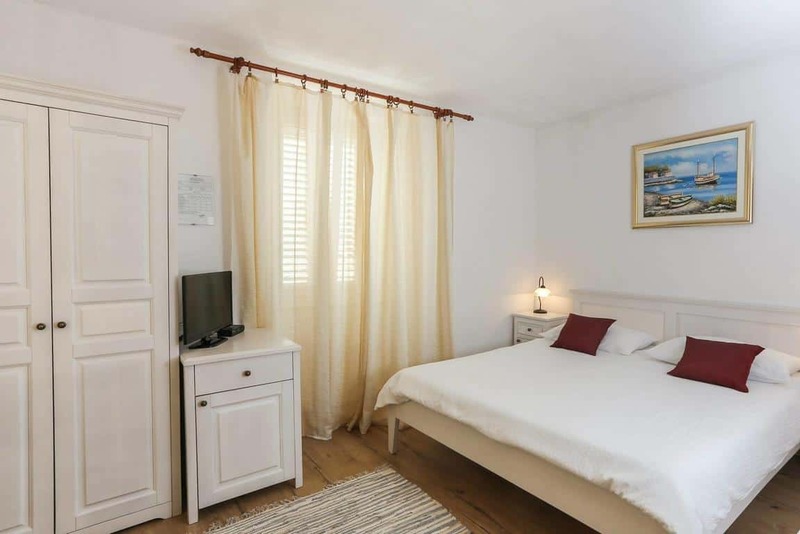 Its location is certainly a part of its charm – only 100m away from the historical main street. However, there’s the personal touch, too. As for your rooms and beds, the hosts were very creative and there seems to be something for everyone. There are single, double and bunk beds. The rooms are either painted in pastel, or you have a more modern touch to it, e.g. a bright red wall and a reproduction painting of a local artist. To sum up, it feels like the owners have really put in effort into this place, and their customers appreciate it, too. 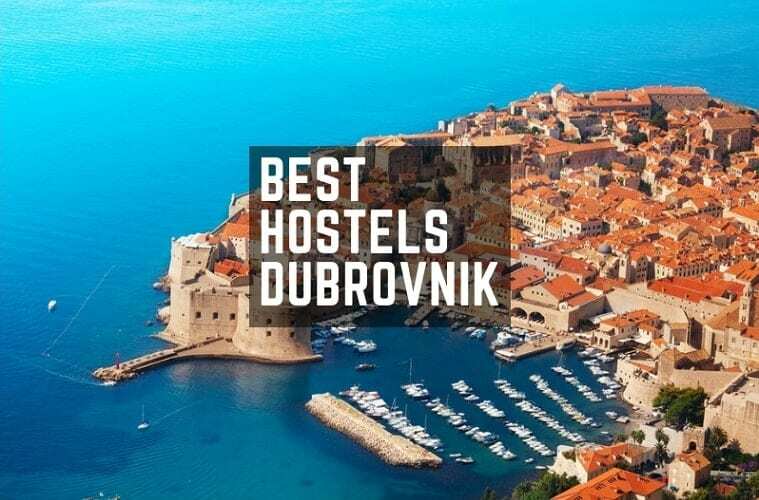 In 2016 it was voted the most popular hostel in Dubrovnik, so dwell on that. Here’s another awarded hostel. 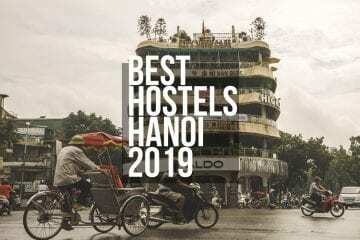 It was pronounced the best hostel in the whole country for 2010 (HW Hoscar award). What is more, it won the Tripadvisor Certificate of Excellence for 2014, 2015 and 2016! It sounds like a dream, and perhaps it is, once you see what they have to offer. First of all, every room has its own toilet and shower. 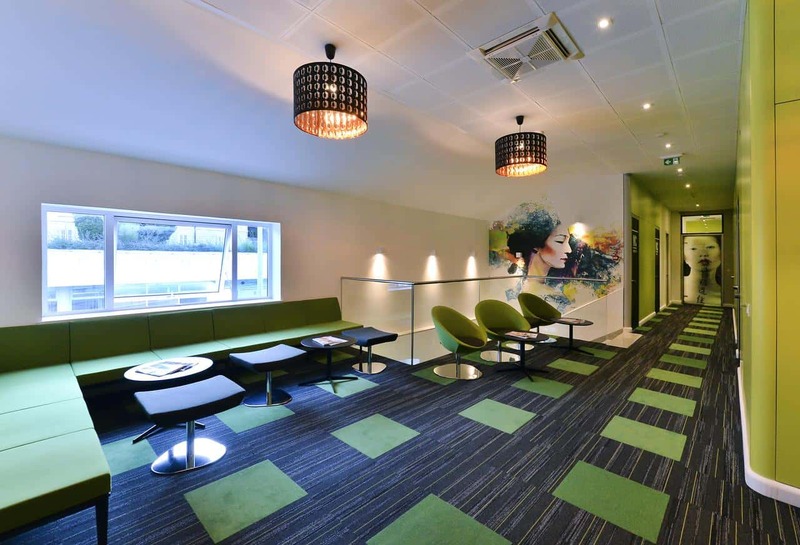 You’ll definitely have your privacy here, but there’s also a common room for all guests to spend some time together and get to know each other. The barbeque space can be used for the purpose, too. 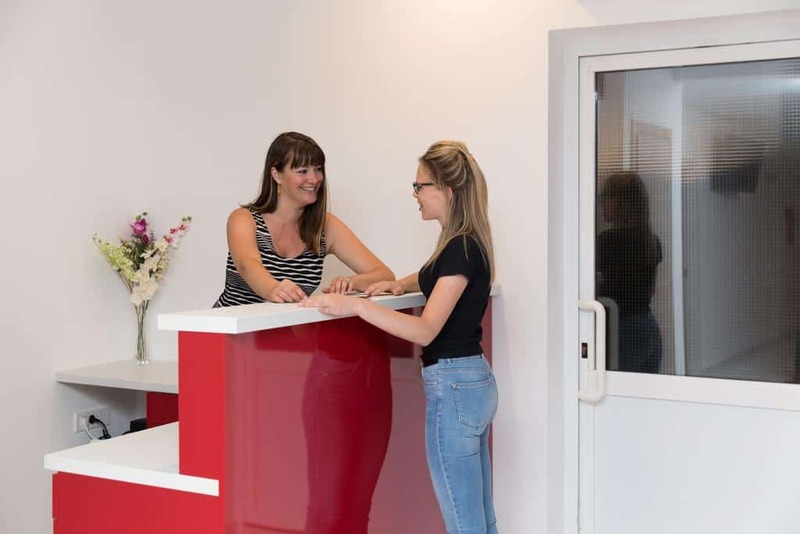 The building itself hasn’t got the charm of an old stone house since it’s very modern, but there’s something else that will melt your hearts – the official hostel pets will welcome you here, too. Another thing you will love about this hostel is the fact that they offer free parking, but don’t get too excited. You have to announce it well in advance for the service to be provided. This is a brand new hostel in an ancient town, so you can expect your rooms to be as nice as possible. Some of the rooms have a shared bathroom, and interestingly enough, there’s a female dormitory for guests who would feel more at ease this way. 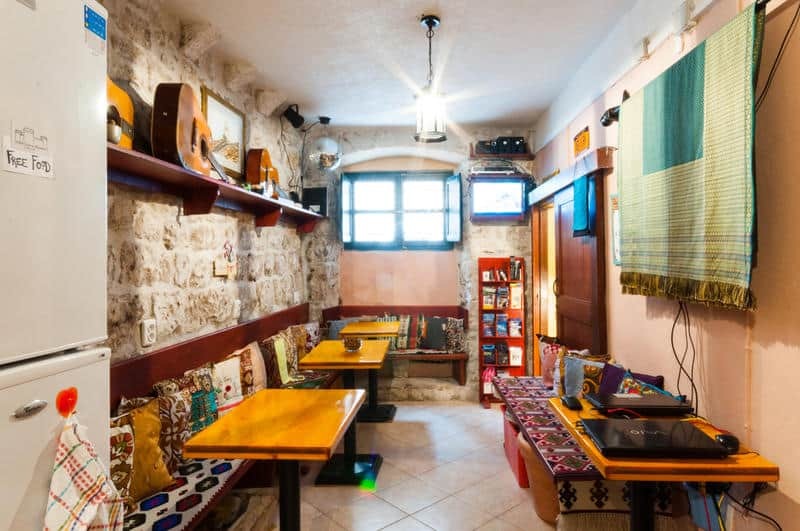 Another quality that sets Free Bird apart is the fact they accept credit cards and debit cards (usually Dubrovnik hostels only accept cash, so this is very welcoming). 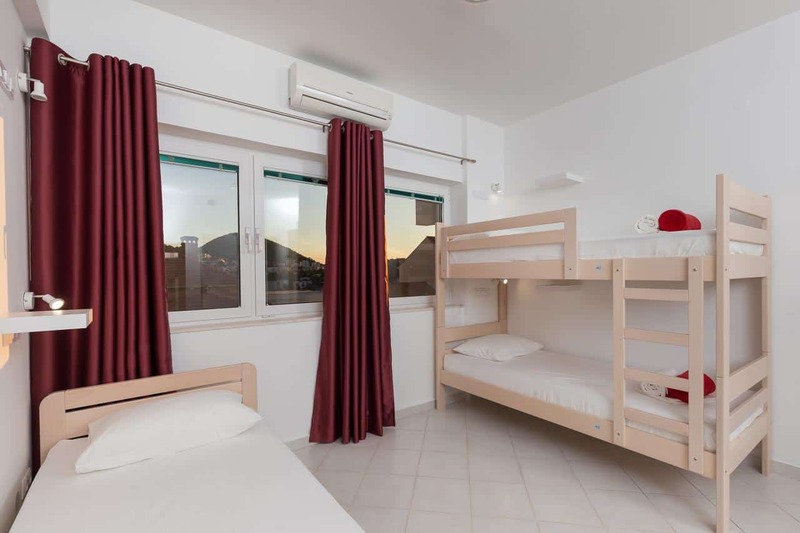 As for the children, the hostel doesn’t accept visitors younger than 14 years of age, which can be considered as a pro or con, depending on your preferences. Free Bird is located some 20 minutes’ walk from the town center, but it’s very close to the bus station. 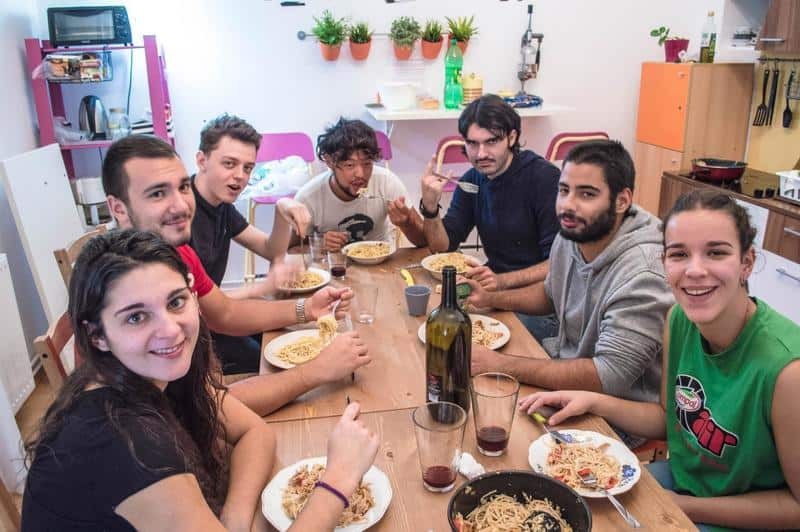 There are lots and lots of hostels claiming they offer peaceful atmosphere in rustic accommodation. 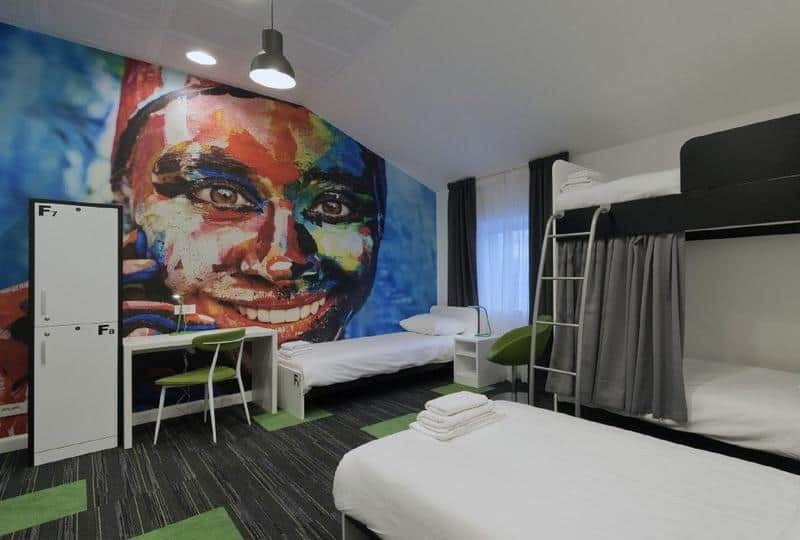 What you have here is the opposite – a quiet stay in a completely funky, pop art hostel. How quiet? The rooms are actually sound proof. In addition, the interior is extremely interesting and fashionable, and equipped with air conditioning. When it comes to other features, there’s good news concerning parking (it’s free), and credit cards are accepted as means of payment. Expectedly, there’s no curfew, so you may come and go as you please. Rooms Kortizija has everything a nice hostel should have. 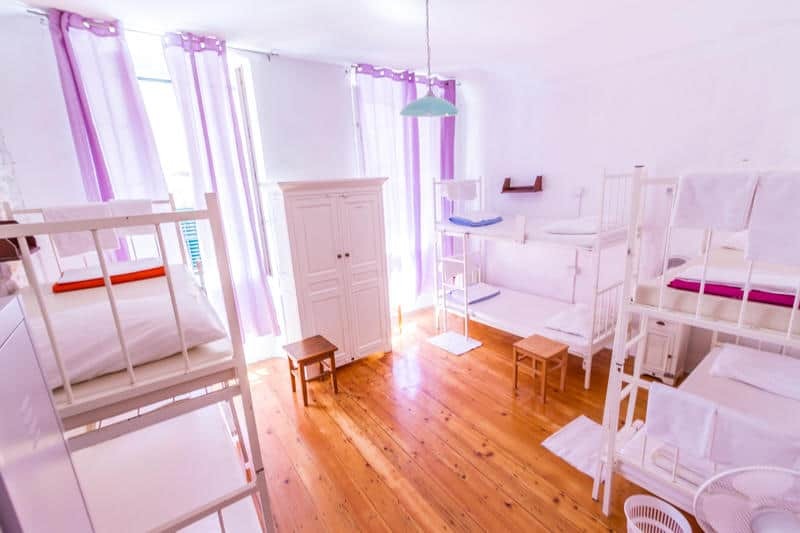 There are 4 double rooms and one twin room on offer (no bunk beds, though). Each room is spotlessly clean and you have your own bathroom, air-conditioning, SAT-TV, and a minibar. 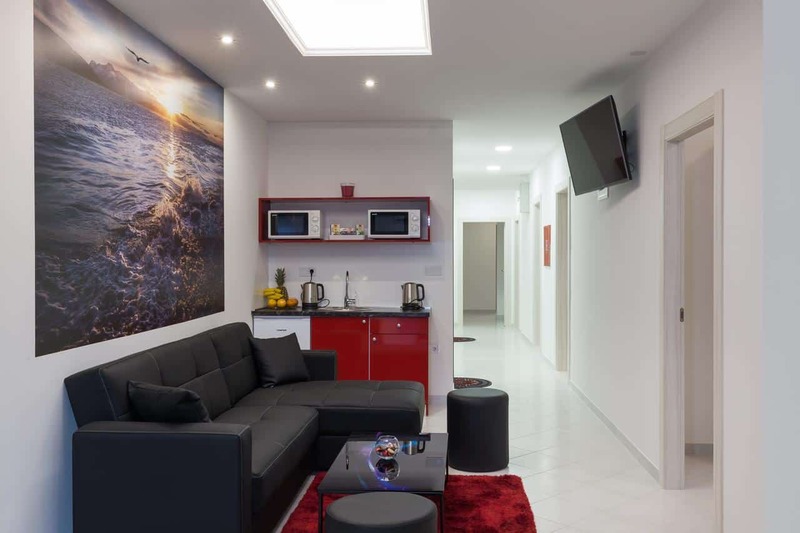 Compared to what you might expect from a hostel, they seem pretty luxurious. Everything looks new, white and pristine. Children are welcome to stay with their parents, and I am sure both will love their stay here. As for the neighborhood, the nearest GOT location is just round the corner. Conveniently, they also offer luggage storage. 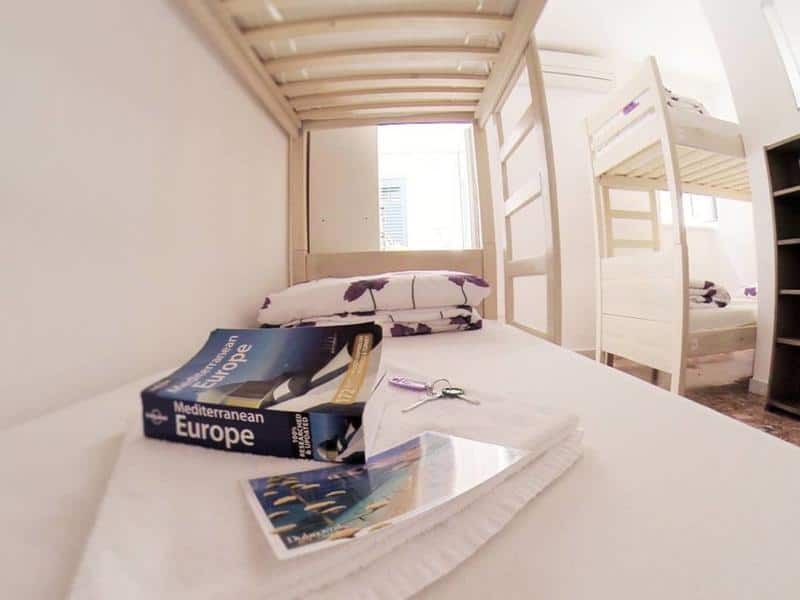 Hotel Dubrovnik Budget Accommodation is a typical family hostel, which means you feel right at home here. You can have a rest sitting in the shade of a grape vine and truly feel like one of locals in this quiet, peaceful area. The furniture is in good shape and very comfortable, and the bathrooms are excellent. But what will really take your breath away is the balcony view. Another great thing about this hostel is that it offers parking space. 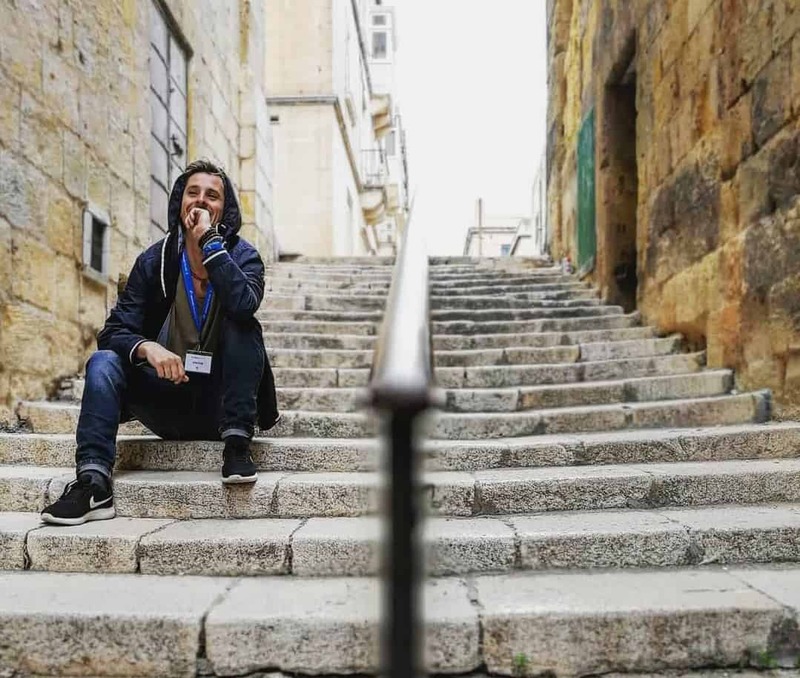 Normally, hostels can only direct you to the nearby public parking, which eventually makes your stay pricier than you had planned. Another piece of advice: the minimum of nights you can book is two, so you’d better bear that in mind. 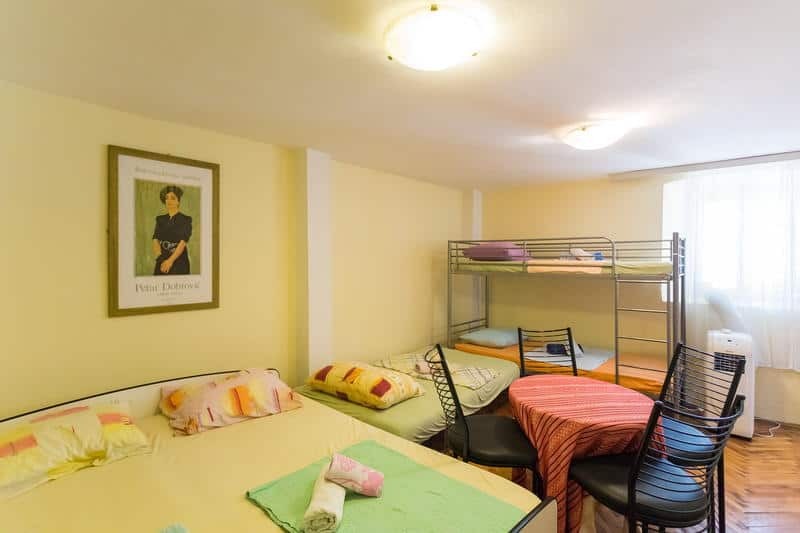 This hostel is highly recommended by its previous guests. Everyone loved staying in this family owned house, and described the hosts as the most hospitable. The breakfast isn’t included in the price, but you can always count on your friendly hosts will offering you some of their homemade cake, bread, or pizza! The location is excellent since it couldn’t be any nearer the Old Town, beaches and bus stops (only 0.5 km from the city center). Basically, you can go anywhere from this place. 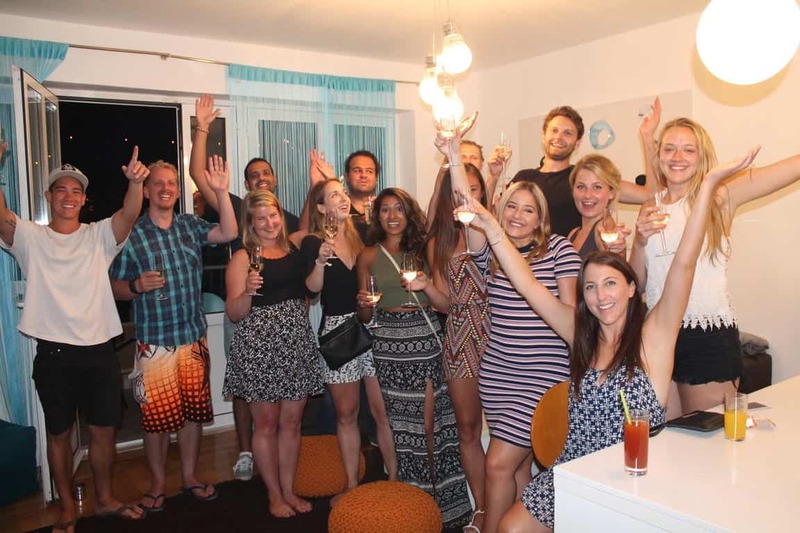 The hostel is described by its guests as peaceful, extremely clean and authentic. 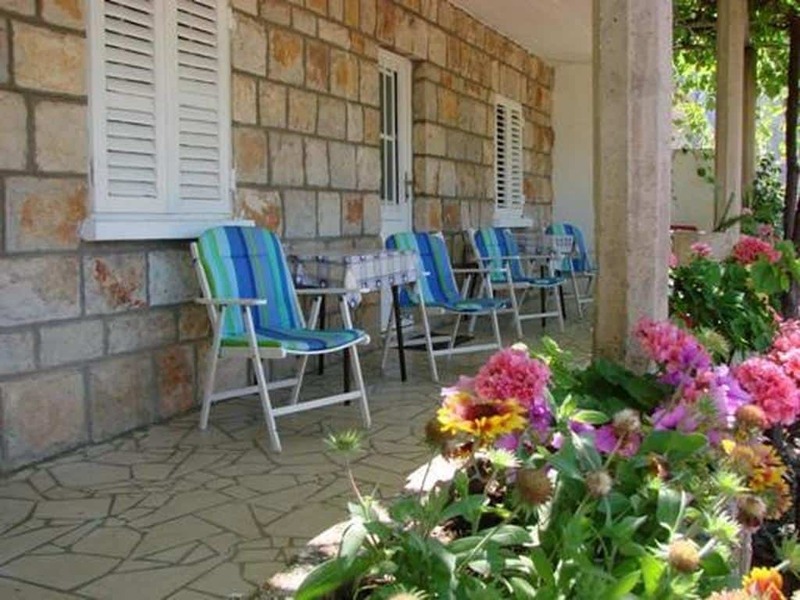 Actually, Villa Mandic’s accommodation can be rather described as apartments than a classical hostel. You would think all this comes at a high price, but not really. It is more than affordable. Also, the reception is at your service 24h. 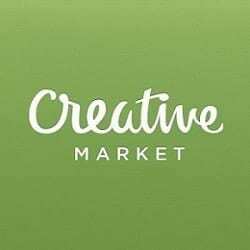 Author: Tanya Mayer is blogger from Brisbane, Australia. She is interested in writing on various topics relating to family and traveling. Check out her latest work-> Croatia Summer Music Festivals. Cover photo “text title” made by us.